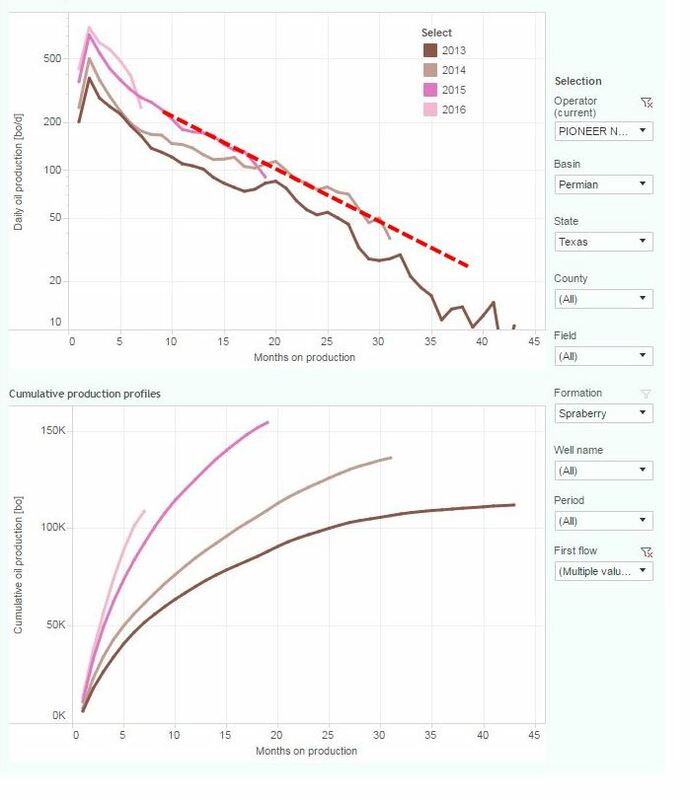 This interactive presentation contains the latest oil & gas production data from 9976 selected horizontal wells in the Permian (Texas & New Mexico) through July. As mentioned in the last update, there indeed turns out to be a steady increase in oil production in the Permian so far in 2016, albeit at a slower pace than we’ve seen in the previous two years. In the “Well quality” tab, you can see the main factor behind this increase; a continuous improvement in average well productivity, since 2013. 2016 wells so far are on a cumulative level about twice that compared with the average 2013 well, by month 7 on production (80 vs 40 kbo). It will be very interesting to see how long these production rates can stay higher, compared with earlier wells. High grading is a partial explanation behind these increases, as drilling and completion has also here slowed down compared with 2015, though much less than we’ve seen elsewhere. In the “Well status” tab, you can see that new wells are brought online in a steady pace so far this year. I would explain the apparent drop in the latest month shown (July) by incomplete data. Of the top 5 operators (“Top operators” tab), Pioneer Natural Resources stands out as the operator that is aggressively increasing production, while the other 4 shown are below recent peaks. I expect to have another update on all the 8 US states I cover coming Friday (Nov 11th). Texas RRC. I’ve estimated individual well production from well status & lease production data, as these are otherwise not provided. Because of these estimations, I recommend looking at larger samples (>50 wells) before drawing conclusions. 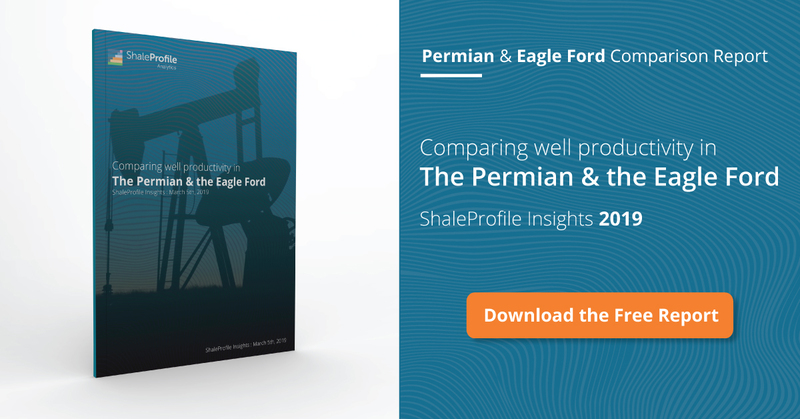 About 7% of the horizontal Permian wells in Texas are excluded, as these were mixed with too many vertical wells on a lease, making reasonable well profile estimations impossible. I’ve no spud or plugging information on wells & DUCs in Texas, so these statuses are unavailable in the “Well status” tab. Performance is looking more exponential with no hyperbolic tail. I see the PXD wells from 2015 extrapolating to about 190 MSTBO (image attached). 1 MMBOEers need to wake up and smell the Enno! I think that you’ve made a very reasonable estimate, at least until about year 4 on production (or about 20 bo/d), as shown in your picture. This assumes that these wells behave similarly as older ones, which is something that so far has been frequently the case.